» SF/F Commentary » On the SF/F Novel: What Happened to Short Novels? Later tonight, I’m recording an episode of The Incomparable with Jason Snell, Scott McNulty, Paul Weimer, and Fred Kiesche. We’ll be discussing the Nebula Awards novel finalists, and among the topics I intend to bring up is the fact that I have been bouncing off of novels hard lately. In the last few months, I’ve increasingly become weary of novels over 300 pages, and even more weary of novels exceeding 500. Part of this comes from experience: over and over, I’ll pick up a novel of that length and come to the realization that it should have been cut down by 30% to avoid bloated side stories. There are all kinds of reasons that a novel should be trimmed, from excessive “as you know, Bob” explanations (a trait that Kim Stanley Robinson has somehow avoided in his exposition-heavy work) to simple elongations of otherwise tight narratives are pretty common. In other words, novel bloat is the primary culprit. One recent novel I read contained a narrative that, to be quite honest, belonged in a novella length work at most; everything it tried to add to that story was either straight up bloat (unnecessary backstory or sidestory) or interesting enough to belong in its own narrative where the author wouldn’t be required to reduce these side bits to “as you know, Bob” explanations from characters or expository babble. It was a novel containing many stories, all of which belonged in their own space with their own appropriately-sized narratives. But as a novel on its own? It didn’t work. By page 50, I got the sense that the story should have been half over already, but flipping through the latter half of the book, I realized that we wouldn’t cross over the narrative hump for another 150+ pages. For a moment, I set it down and literally said “tl;dr” to the imaginary people in my apartment. The more this happens, the more I look longingly at my bookshelf full of novels from the 1940s to the 1970s. You know the books I’m talking about. Novels of 120 pages (maybe 200ish on the outside). Compact, often beautiful or conceptually challenging, these are the kinds of novels that I want to read more and more. One reason is the problem I described above — so many of these shorter novels avoid bloat, except the occasional fix-up that clearly didn’t need to be a novel. Another reason is that I’m a slow reader. Whereas some people can cram down a 300-page novel in a day or two, that same novel can take me all week, especially if I’m not as “into” it as I might be something else. There are very few instances where I will stay up late to finish a novel or become so engrossed that I can’t walk away (this is actually so rare that I can count the number of books with which this has happened on two hands). Most of the time, I chip away bit by bit, easily distracted by the world around me because, to be frank, I can’t stay still or away from my computer or I just need to *see* something happen for a bit instead of reading about it (it’s possible I’ve got something wrong with my brain bits; whatever). Sometimes, going back to those short novels reinvigorates my love of the novel form (oh, hell, not just “sometimes;” pretty much every time — exceptions for the stinkers from the old days). One of the other reasons I often bounce off of longer novels is that I know that it is highly unlikely that I will ever be able to teach a novel that is over 300 pages, which draws me back again to those 200ish page max novels. Since I don’t teach graduate courses, the amount of reading I can assign for undergraduates is limited by what is an imaginary “guideline” set by the department and by students (I wouldn’t teach often if I made them read a 400-page novel a week). So that means I have to look at how long it will take to teach a book and how many “days” of reading I have available. And if assigning a book I really like that is 400 pages would mean cutting out two or three works by other authors, I’ll aim towards the more diverse list more often than not (the one exception being the upper division undergrad course on space opera that I’m teaching this fall, which contains three works at or over the 400-page mark). Since I’m usually teaching surveys, diverse reading usually wins. But nobody is publishing short novels. Well, not “nobody,” just not “many people.” Small press publishers do still release short novels, but I still think more publishers should be involved in their production. Short novels are great. Ursula K. Le Guin could write novels with less than 200 pages without her narratives suffering, so aside from the costs of publishing, it seems silly that short novels aren’t as common as they appeared to have been 50-ish years ago (granted, I may be full of crap here). One recent short novel I loved was Silvia Moreno-Garcia’s stunning debut, Signal to Noise (Solaris; 2015). At 200ish pages, it was perfectly sized for the story it meant to tell.1 And in those 200ish pages, Moreno-Garcia told a complicated “coming of age” story about teenagers living in Mexico City, surviving parental strife, the trials and tribulations of high school, and even magic. I love this book for so many reasons, and while the size isn’t the biggest of those reasons, it does help (how much? I don’t know). If she had stretched out the same narrative to 400 pages — which she could do by spending more time going through the daily lives of her characters — Signal to Noise would not have been such a beautiful work. I suspect that anyone who has read that novel would agree that doubling its length would probably have ruined it. It’s not “perfect” at 200ish pages, but the length is “perfect” for the story being told. 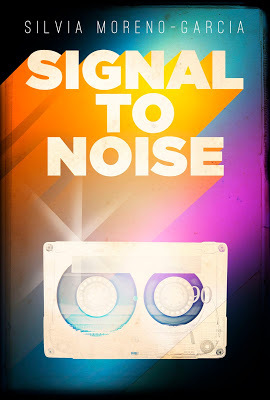 I want more books like Signal to Noise. Whether they be space operas or “magical realist” stories set in Mexico or cyberpunk stories set in NYC or military SF stories in the far future or epic fantasies in imagined worlds. Stories like Watchstar by Pamela Sargent (180ish pages), Nova by Samuel R. Delany (250ish pages), Tau Zero by Poul Anderson (190ish pages), The Word for World is Forest by Ursula K. Le Guin (190ish pages), or The Female Man by Joanna Russ (220ish pages). 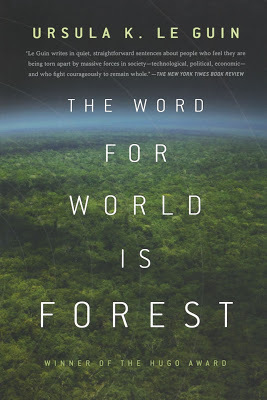 Short, but rich, dense, beautiful, thought-provoking, and sometimes even plain difficult. But mesmerizing all the same. What are some of your favorite short novels? Let me know! The Internet tells me the book is 272 pages, but my ebook version of 216 pages at a reasonably-sized font. Weird. Roadside Picnic is 224 pages long. Snow Country is about 130 pages. Snow Country by Yasunari Kawabata? Indeed. Not SF I know but I was commenting ten minutes after waking up. Still wonderful. It's all good. A lot of great "literary" novels are in that 150-225 page range. And they're glorious! Yasushi Inoue's "Tun-huang" is barely 200 pages, and more epic than books four times its length. Georges Simenon's books rarely ran over 50K words. Simenon wrote crime novels. Inoue I don't know. Most novels these days though, aren't quite that lean. It almost sounds like, Shaun, you should be reading more Novellas. Yes, and it tells a massive story in 180 pages or so. It's gorgeous. Novellas are great, but the only place that releases them regularly *in print* seems to be Subterranean, but they're a specialty publisher. Same with PS Publishing. And I have a strong preference for print books because I just…like them. And an even stronger presence for the old mass market format (you know what I'm talking about; the MM size w/ the pulpy paper look and feed). Le Guin again – Wizard of Earthsea, c 190 pages. Lathe of Heaven c. 200 pages. Yup, and an incredible novelist at that length, too. This is an utterly ironic situation. Technology has changed the literature and movies about technology. Word processors, or computers with word processing software, have changed writing. Bloat is so easy now. And of course CGI has changed science fiction and fantasy movies. They look so much more real. Compare the looks of 1960s Star Trek to 2000s Enterprise. But for books the bloat is the downside. How do kids get through 6 megabytes of Harry Potter?